A range of metal cabinets that have been specifically designed for the Lutron Homeworks Lighting control system. 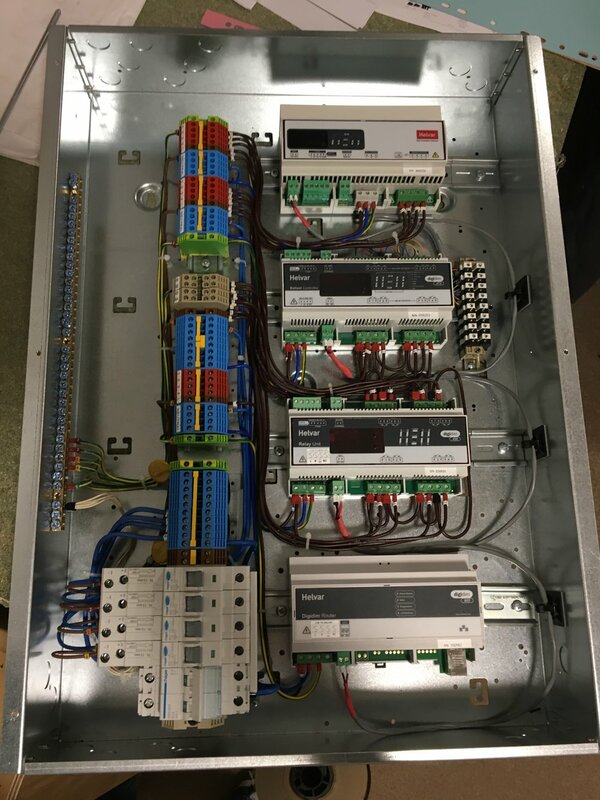 However, they can be used for many other DIN rail control products such as Crestron Automation and Helvar Lighting. The cabinets come in a range of sizes and fit outs. We use high quality Hager RCBO & MCB breakers. 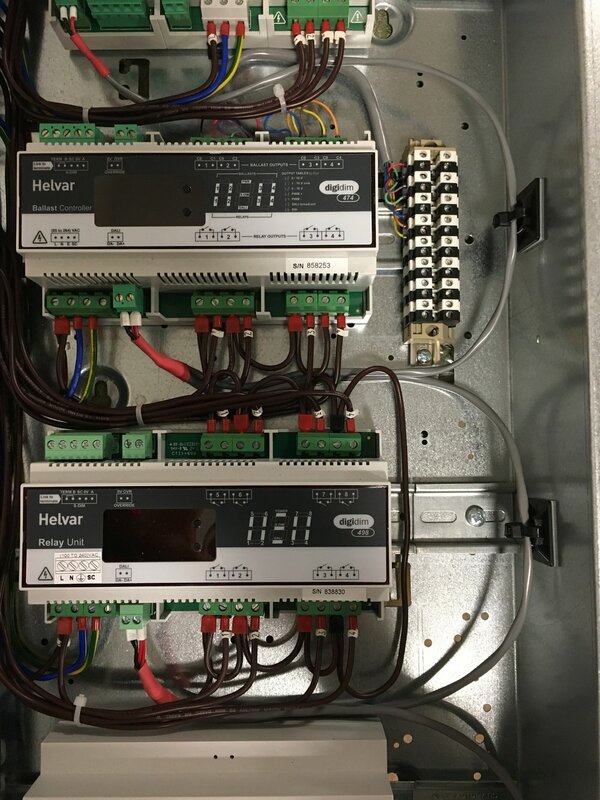 The DC03 Cabinet can host up to four Lutron dimmers (Adaptive, Relay, 0-10v or DALI). If the cabinet is to be used with a Lutron CPU then the dimmer count is reduced by one. The DC05W Cabinet can host up to eight Lutron dimmers (Adaptive, Relay, 0-10v or DALI). 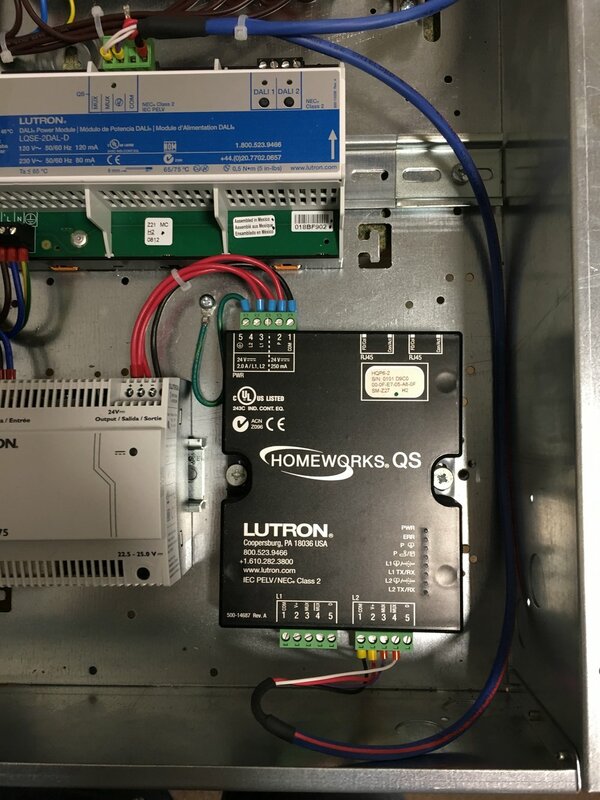 In addition to these dimmers the cabinet can host a Lutron processor with power supply. The DC08 Cabinet can host up to eight Lutron dimmers (Adaptive, Relay, 0-10v or DALI). 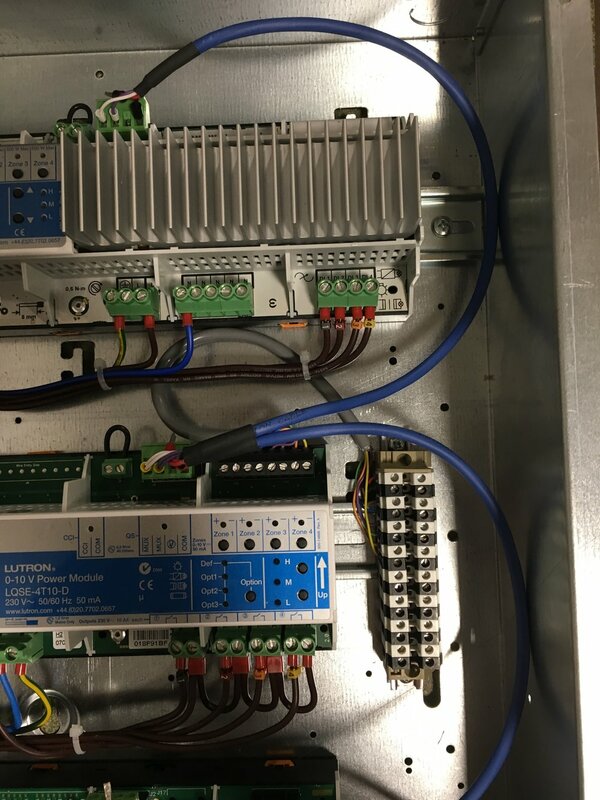 In addition to these dimmers the cabinet can host a Lutron processor with power supply. In addition to the cabinet we have a number of cabling accessories that can speed up the installation of the overall system. These range from electrical loom cables and Lutron MUX pre-made cables for linking the dimmers together.